Debbie is one of the leading authorities in the field of resource design and teaching using the synthetic phonics method for reading, spelling and handwriting. 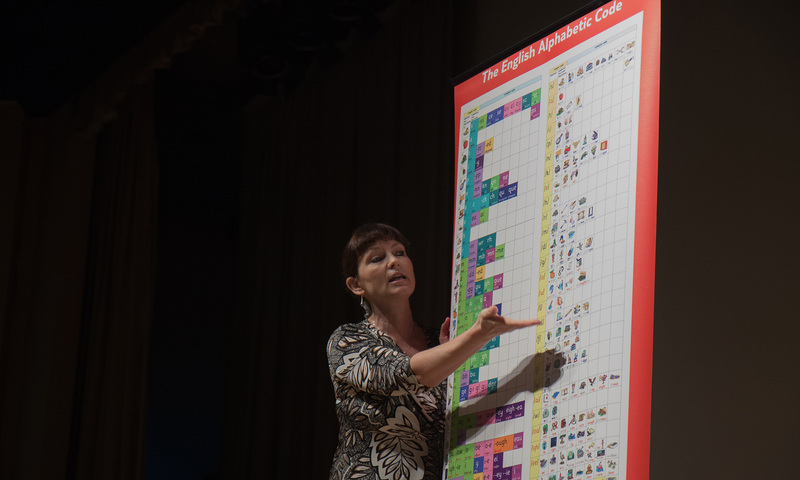 Her programme, Phonics International, has received acclaim around the world and is used in more than 50 countries. 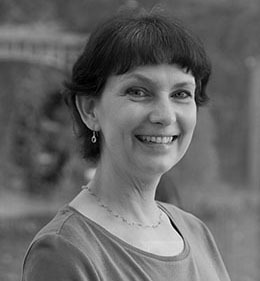 Debbie is also the author/consultant for the Oxford Reading Tree’s ‘Floppy’s Phonics Sounds and Letters’ programme and Raintree’s ‘No Nonsense Phonics Skills’. She is a member of the ‘UK Reading Reform Foundation’ and founder of The International Foundation for Effective Reading Instruction (IFERI). She has years of experience as a teacher, headteacher, special needs teacher, international teacher trainer, consultant and author. She was consulted during the major governmental enquiries into early reading in the UK and in 2011 was awarded an MBE for services to education. What’s in the eBooks and why are they special? These eBooks include everything you need to support you for your ‘adult-led’ teaching purposes and your child/pupil for his or her learning purposes. They enable constant, sustained practice in the required alphabetic code knowledge and the three core skills and sub-skills of reading, spelling and handwriting. The teaching and learning processes are permanently visual, tangible and very rewarding for adult and learner alike. They introduce systematically 117 letters and letter groups which are code for all the smallest sounds of speech (the letter/s-sound correspondences of the English alphabetic code). They also introduce additional correspondences (such as ‘tt’ and ‘dd’) and common words with unusual spellings (such as ‘eir’ in ‘their’ and ‘eo’ in ‘people’) throughout the 200+ cumulative sentences and texts. The eBooks are ‘teaching’ and ‘learning’ books with resources for the adult to introduce and model new alphabetic code with provided words for reading, spelling and writing – and content-rich resources for the learner to learn and apply the new code using the three core skills of decoding (reading), encoding (spelling) and handwriting from word level to sentence and text level. Resources are designed for constant ‘revisit and review’ routines to consolidate previous learning to mastery, automaticity and fluency. Revisit the graphemes provided in ‘cumulative’ grids at the front of every eBook – but also revisit previous sentences and texts to build up reading fluency for greater word recognition over time. 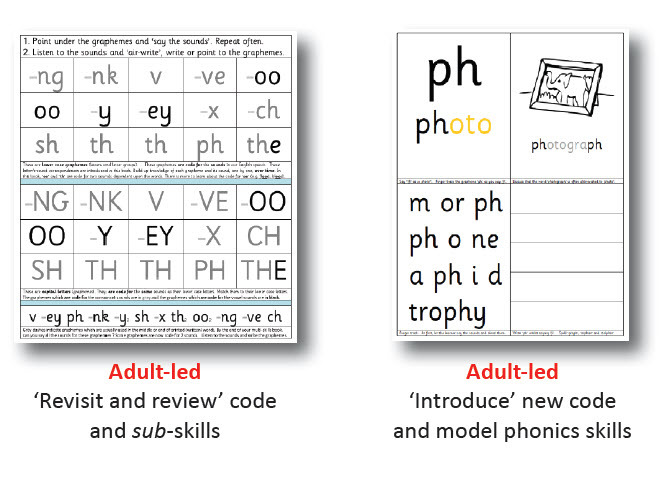 Introduce new learning with larger-scale graphemes (letters or letter groups) linked to key picture-words which are also used on the overview Alphabetic Code Charts. 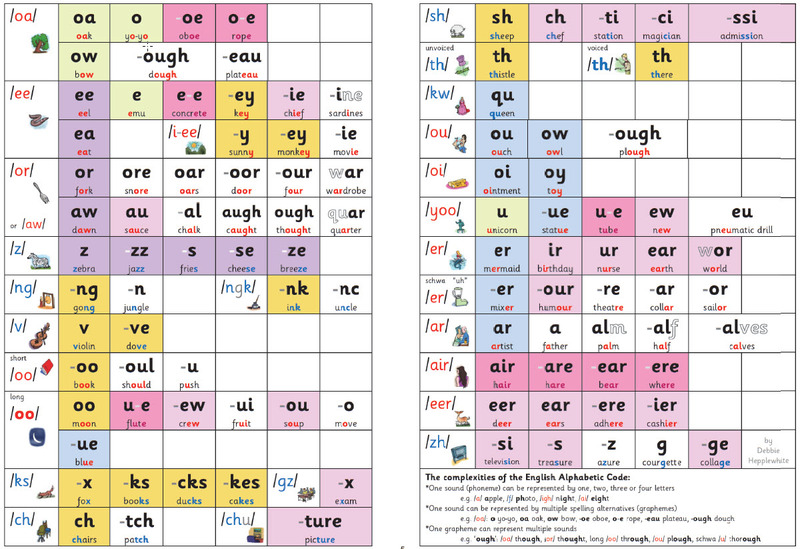 A list of ‘cumulative’ words, with the focus grapheme in different positions in the words, provide demonstration words for modelling the sounding out and blending. The adult uses the writing lines to model handwriting of the letter or letter group and also to model the spelling-with-editing routine using ‘sound dashes’. Guidance for the phonics ‘hand routines’ for reading and spelling is provided in the eBooks. At first, the learner practises saying the focus sound whilst finger-tracking and writing the grapheme. Small pictures generate spoken words to listen out for the focus sound (a sub-skill of spelling which is called ‘phonemic awareness’ or, awareness of the smallest sounds within spoken words). The learner draws the key-picture which helps to embed the prompt-word in memory. 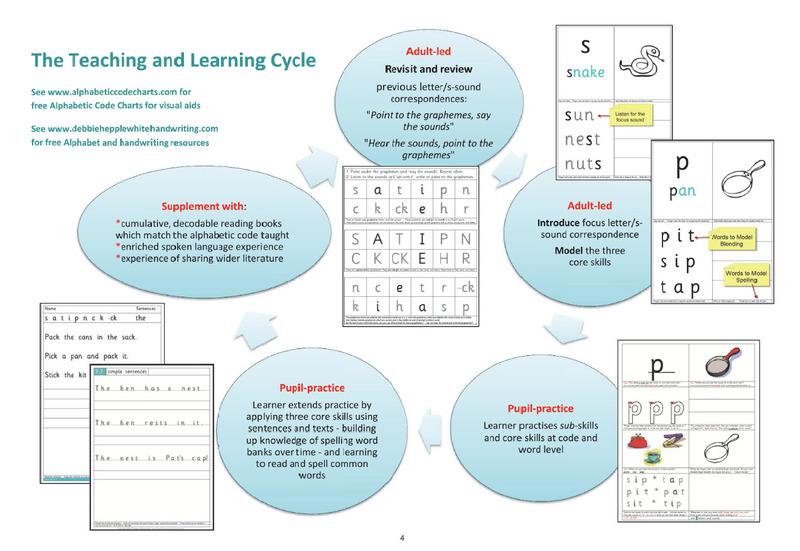 The learner then practises reading/decoding with ‘cumulative’ words or sentences and then practises spelling some words with the focus letter/s-sound correspondence on writing lines using the scaffolded ‘sound dashes’ routine. Then, there is further reinforcement of the new code knowledge in three cumulative lines of practice for reading and writing. This can range from copywriting to self-dictation (cover over the sentence and the learner ‘holds it in memory’ to re-write it) or dictation (the adult says the sentence). As an extension, the learner can write (or talk about) ‘what happens next’. So, having decoded the words, what do the words mean? Develop the themes for ‘language comprehension’ – making meaning of the content and speaking further about it and then the learner becomes the ‘illustrator’. The sentences and texts provide opportunities for vocabulary enrichment (new words) and the introduction of aspects of grammar, punctuation, word classes and so on. Finally, still with a focus on the new letter/s-sound correspondence, the learner reads further cumulative text – which may include occasional bits of additional code introduced incidentally, high-frequency words and tricky words. 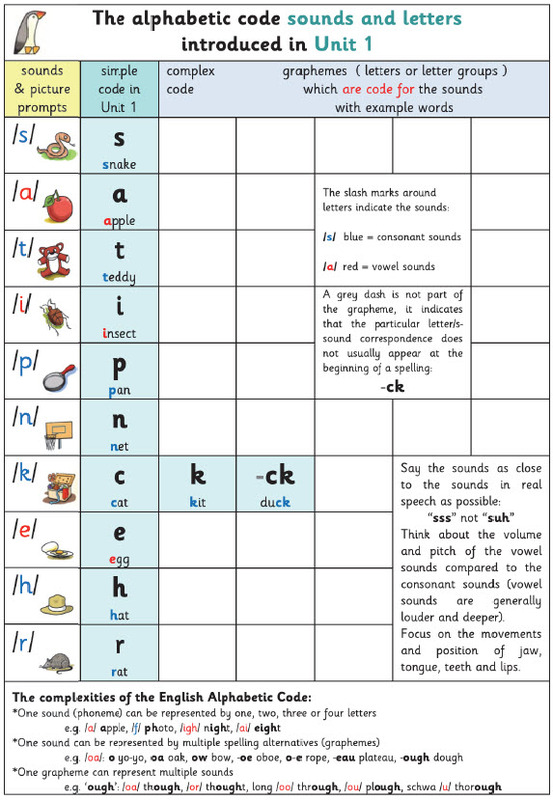 The text themes provide aids to memory for building up spelling word banks – words spelt with the same letter/s-sound correspondences. At the beginning of every eBook, the alphabetic code is provided as a chart including the letter/s-sound correspondences introduced in the previous book- and the correspondences introduced in the latest book. 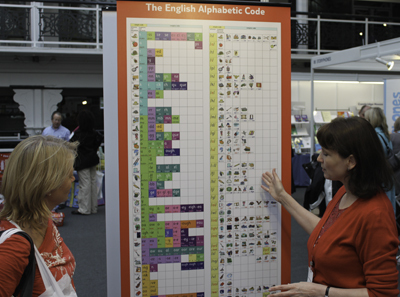 Along with each chart, there are important snippets of alphabetic code information for the adult to share with the learner – and also some of Debbie’s Top Tips for incidental phonics teaching. Debbie has continued with the same order of introducing the correspondences as in Phonics International for Units 1 to 6. 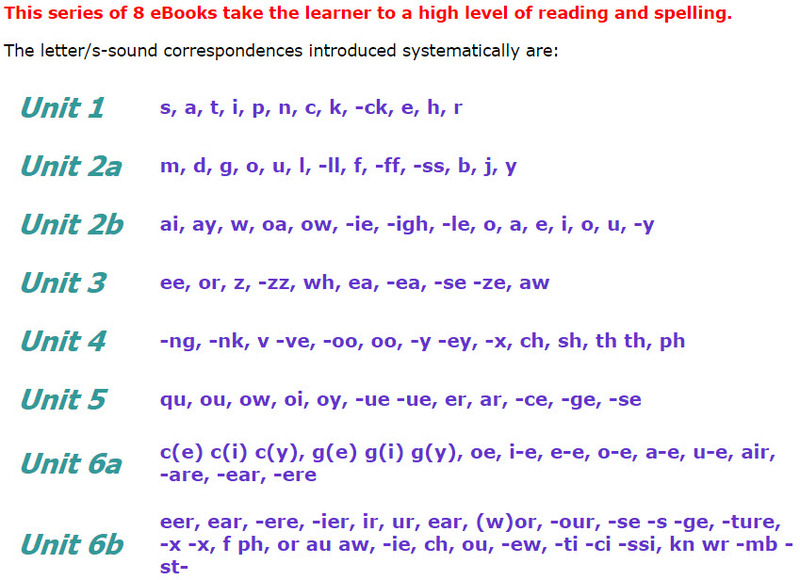 In addition, however, she has included some letter/s-sound correspondences from later units in Phonics International to provide very comprehensive coverage by the end of the last eBook. Please note that because of the large number of letter/s-sound correspondences introduced in Units 2 and 6, we needed to create two books each for Unit 2 and Unit 6 which we have labelled Unit 2a, Unit 2b, Unit 6a and Unit 6b. You need to teach about both the ‘alphabet’ and its role, and the ‘alphabetic code’ and its role. The eBooks include letter formation of the 26 lower case and 26 upper case letter shapes starting with print – with guidance for teaching fully joined writing for lower case in the Unit 6 eBook. 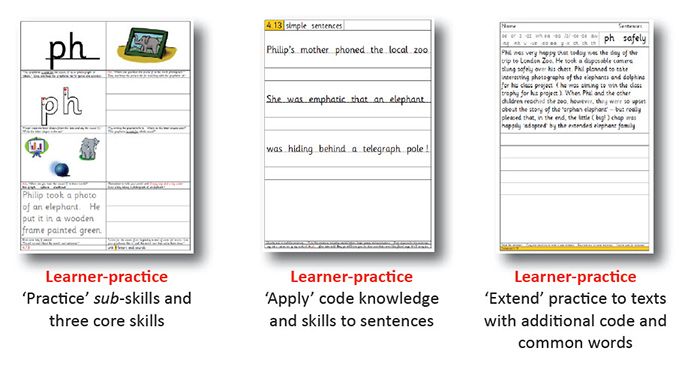 You can use your judgement when to teach your child/pupil/student joined handwriting to use for the ‘apply and extend’ writing activities within the eBooks. If all of these amazing resources were not enough, we have 3 FREE bonuses for you! Create ‘browse books’ of the word lists (one for each unit). Make a systematic series of book marks. Use for reading (decoding) and oral work to develop vocabulary. Introduce ‘word classes’ when comparing the word endings and using the words in sentences (e.g. nouns, verbs. adjectives, adverbs). Note the ‘homophones’ – words pronounced in the same way but differing in meaning or spelling or both (e.g. hair, hare). Use for handwriting – copy as print or change to joined handwriting (remember that joined handwriting is introduced in the Unit 6b book!). Use for spelling – say the words slowly for the learner to identify the sounds all-through-the-spoken words and then encode the sounds to letters and letter groups. Write the spellings on ‘sound dashes’ or writing lines. Sound out and blend to check the spellings. Say some of the words in spoken sentences, hold them in memory and write them in sentences on writing lines – include punctuation. 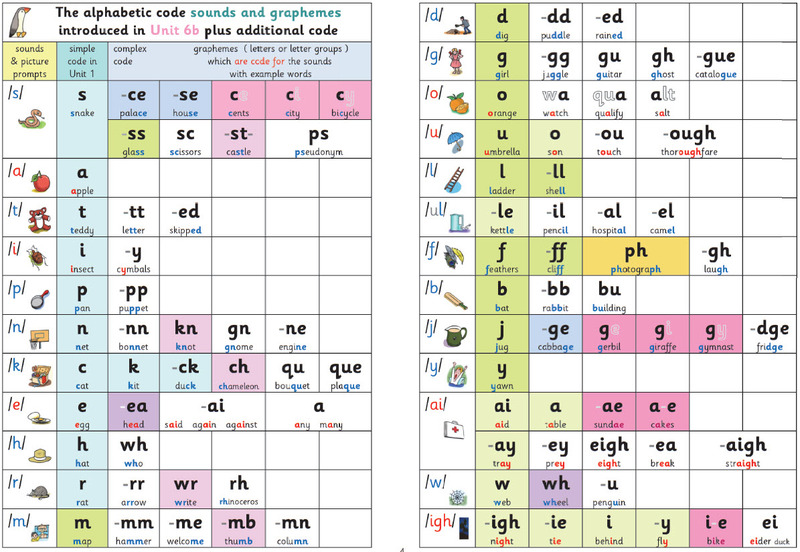 These are the same graphemes and key pictures which are introduced throughout the 8 eBooks allowing you to use the ‘cut out’ tiles as ‘manipulative’ resources for helping your child to recall the sound the graphemes are code for; to ‘spell’ by selecting the grapheme tiles which are code for the sounds identified all-through-the-spoken-word (hear ‘boat’, identify the sounds /b/ /oa/ /t/, select the grapheme tiles b – oa – t); and to decode cumulative words that you have made from the grapheme tiles for your child to read. To be absolutely sure you will succeed in teaching your child to read, Debbie will send you a personal email every few days in the early stages. The email will be a bit like a progress check to keep you focused and will contain further advice and guidance to be certain you are getting the best out of her system. (plus VAT where applicable) is just simply a no-brainer – and with our unique money-back guarantee you really cannot lose! We can’t hold this reduction for ever, so please buy now to avoid disappointment. Payments are accepted securely online via credit/debit card or PayPal. For UK schools who require an invoice prior to payment, please contact us using the form below. 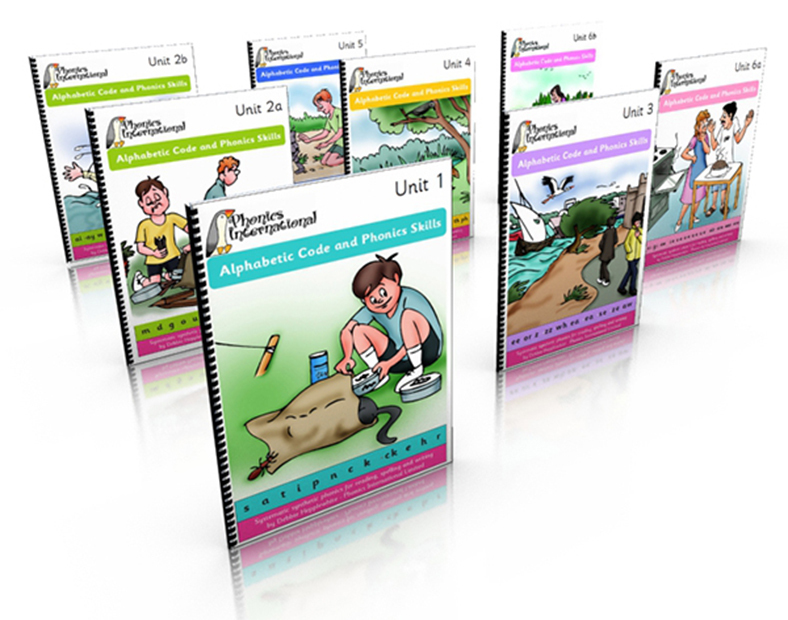 Please feel free to contact us should you have any questions regarding our series of ‘Alphabetic Code and Phonics Skills ‘ ebooks – we aim to respond within 24hrs though it’s usually much shorter!